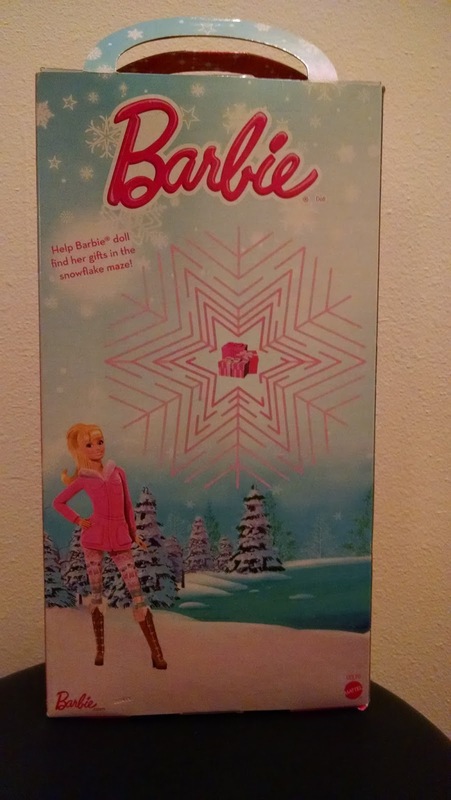 Meet "Holiday Surprise" Barbie, who is apparently a Target Exclusive. This is essentially a cheaper spin on the annual collector Holiday Barbies that go for around $30. This mass produced low-end version, packaged with a simpler costume and some accessories, only costs about half as much. The first thing you'll notice is that the figure is displayed extremely well in her packaging. If you think that's a good thing, you probably don't open that many toys: it takes numerous elastics and binders to hold her into place, and freeing her is an exercise in madness. 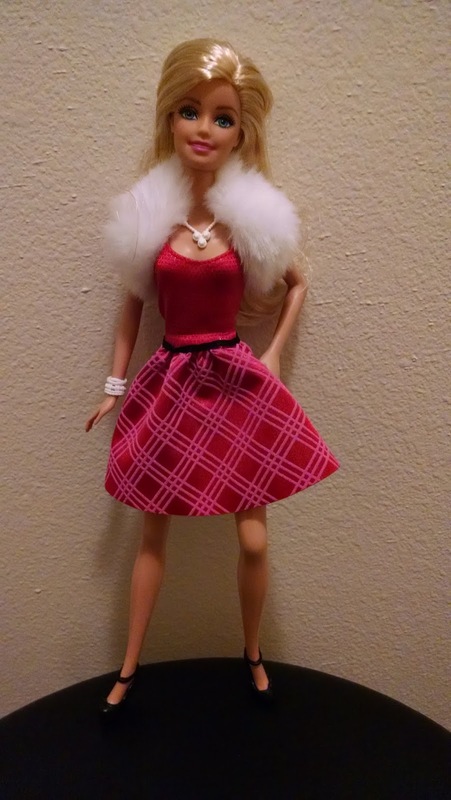 If you're familiar with Barbie, the doll won't be too surprising. This is of course one of the simpler models - no wrist, ankle, or elbow articulation. She does have soft, rubbery legs which allow the knees to lock into three slightly different poses. 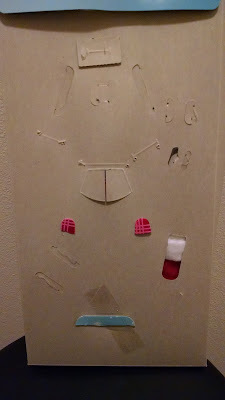 Other than that, her shoulders, legs, and hear all contain ball joints. The doll isn't all that nice, but - to be fair - she's more intended as a display for the outfit. While this isn't exactly a top-of-the-line costume, the fake fur piece is fun, and the upper half of her dress has a cool fake sequin effect. The real area this toy shines is in accessories. 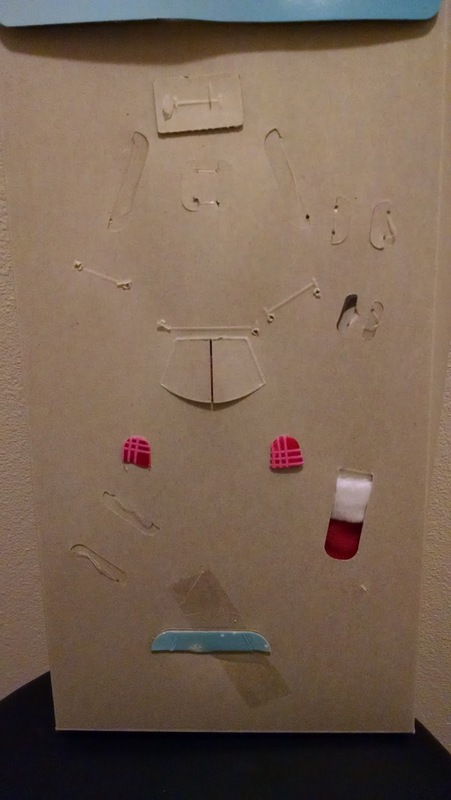 She comes with a few basic pieces - a cheap plastic necklace and bracelet, as well as a generic black purse. She also has a cardboard gift box, which isn't all that interesting. 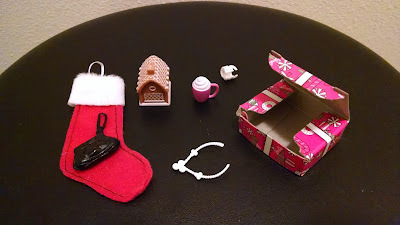 But the mug of hot chocolate, the gingerbread house, and the stocking are much more fun. I particularly like the house, though I'd like it even better if they'd designed it to look like her infamous dream house. While this isn't a bad toy, it's not exactly groundbreaking. 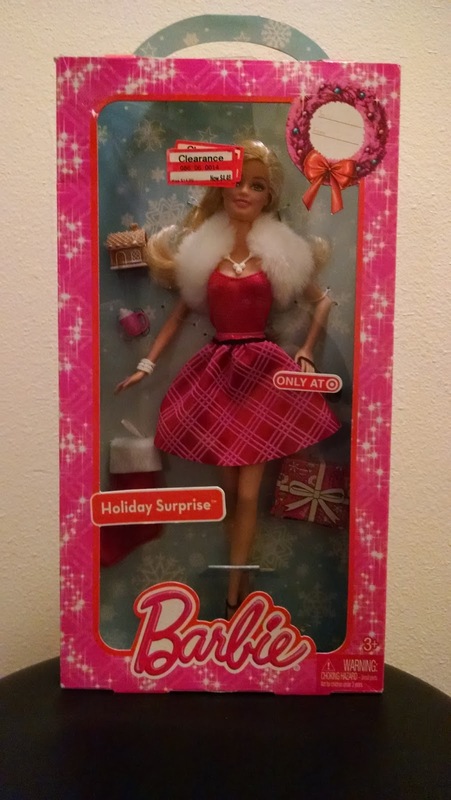 The accessories are fun, but there are much better dolls on the market at this price point. Fortunately, Christmas presents plummet after the holidays, which is why I found it for $4.48. Pay attention, parents: doing a little of your Christmas shopping in January can pay off the following year. Just something to keep in mind. One more thing - the back of the package forgoes the usual cross-selling marketing for a cheesy game. It's pretty idiotic, but it does serve as a basic intelligence test for your child: if they don't throw out the box without trying the maze, you're probably raising an idiot.